It first proudly graced the home of the Stirling family in 1918, just weeks after the guns of the First World War fell silent. 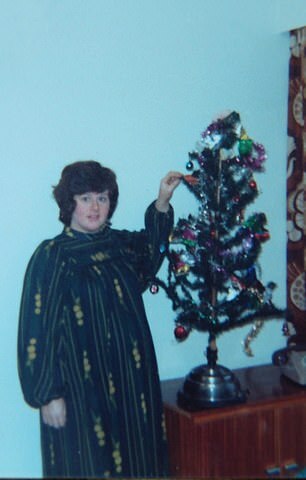 And now, astonishingly, the same 3ft Christmas tree is set to be decorated by family members for the 100th year running. The wind-up decoration, which even plays carols, was first bought for £2 10s by shopkeeper Robert Muir to celebrate the birth of his son, also named Robert, on December 9, 1918. It has since passed to Robert Snr’s granddaughter, Aileen Stirling, in whose home it now takes pride of place. ‘It has been part of my Christmas for as long as I can remember,’ said Mrs Stirling, 67, a retired bank worker from Renfrew, near Glasgow. ‘We used to play a game with it. Someone would place a chocolate on one of the branches and the children would stand around it in a circle. Remarkably, given when it was bought, the tree was made in Germany. When wound up with a brass key, it rotates and plays carols including Ihr Kinderlein, Kommet (Oh, Come, Little Children) and Stille Nacht (Silent Night). ‘My grandfather ran a newsagents in Renfrew and the tree was placed in the window to bring in the customers,’ said Mrs Stirling. The tree has featured in many family photographs over the years. 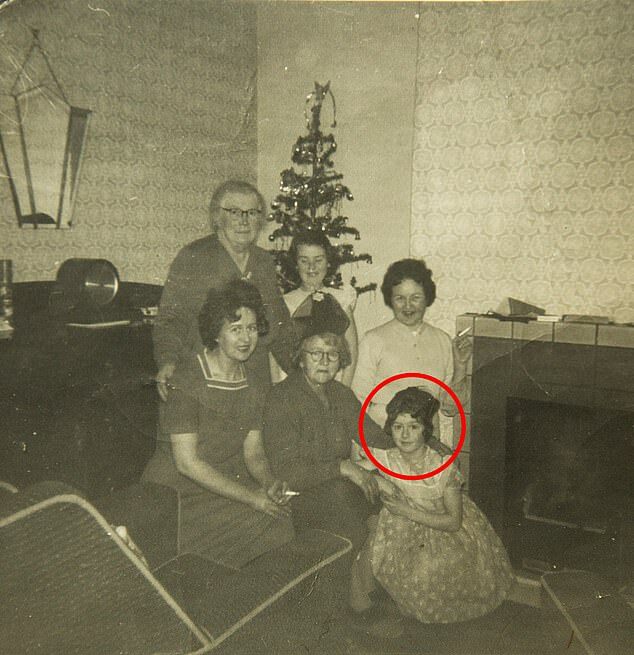 Mrs Stirling was seven years old when she posed with her mother, sister and other relatives for a snap in 1958, and by 1976 she was pregnant with her daughter, Joanne, when she appeared next to the tree. 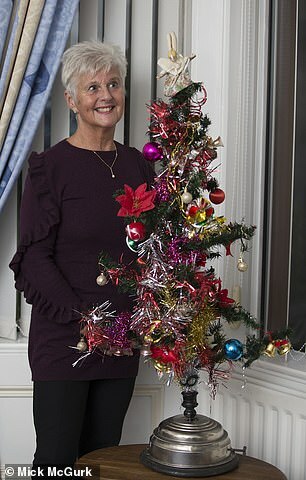 ‘Joanne is now married and living in Spain and misses the chance to turn the key on the tree,’ said Mrs Stirling.